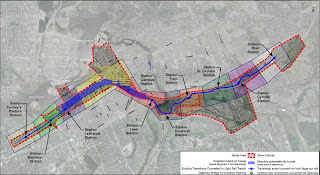 On Wednesday afternoon, I took a trip to the Main Branch of the Ottawa Library to check out the Ottawa Room and read the recently-released environmental assessment (EA) of the Downtown Ottawa Transit Tunnel. 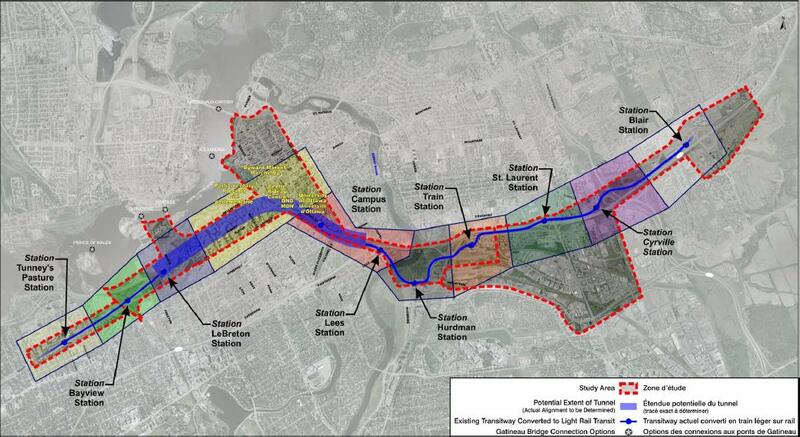 If you're interested, you can read the massively massive document online at the Ottawa Light Rail website, although it's difficult to read on a computer screen. There were a huge number of interesting details in the document, some seemingly irrelevant (did you know that harbour seals used to come as far south as Ottawa, before the Ottawa River was damed?) and others quite enlightened, but there was no shortage of them. 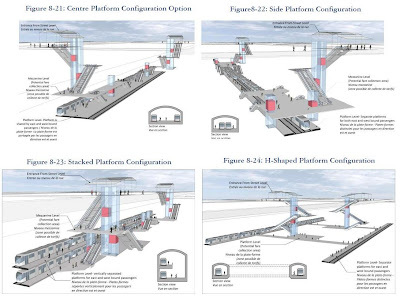 I've got to say, the centre platform seems to be the most rational choice of the group, even if it limits space for small retail outlets in the transit station. Still, there would be enough room for a convenience store and news shop, so it's got what commuters will need. I'll try and offer more posts regarding the details presented in the EA in the coming weeks. If there are particular questions you've got about it, feel free to e-mail me, contact me on Twitter, or post a comment here and I can try and look into them. It is my sincere hope that OC transpo will out-source the interior design of these stations in a design competition for each station. One would think that for a capital city there could be a bit more imagination put into transit stations then the current banal uniform existence of the red and tinted glass domes of the transit way. Part of the process of place making and branding of a neighbourhood comes from the pride and distinction the community has of their transit stations. One can look to the Millennium line stations in Vancouver, the artisan tiled work of the Montreal metro and the inventiveness of the Berlin U-Bahh as prime examples. A renaming of Bayview, East and West Downtown as well a 'train' stations would also serve to distinguish the system. Personally, I feel the side-platform style makes much more sense. In my experience riding subways\metros, when you have a centre platform, there's a tendency to get much more on-platform congestion and confusion at rush hours. Union in Toronto is a good example; during rush hour, when two trains come in at the same time, everybody is basically trying to go everywhere at once. You can really avoid this problem with side platforms, I find.